book through our website clicking on the “Book Now” tab and checking available dates. WHAT IS THE COST FOR A TRIP ON TARAS OR EXTRAORDINARIA CATAMARANS? children aged 4 to 11, while there is NO COST for children aged from 0 to 3. ARE WE SUBJECT TO FEES TIED TO THE CARD WE RECEIVE UPON BOARDING? chance to be classified as supporters of the JDC and TO access a range of services reserved to members only. on the day of your participation to our research activities, gives us the opportunity to continue our studies during the winter seasons, when people are not accompanying us out at sea. During those periods, we organize scientific expeditions such as the Ionian Fin Whale Project, as well as free events that are open to everybody. Our goal is to raise awareness on the crucial importance of the protection of our sea. Asking for a discount would mean taking away from the funds that our group needs to carry on its activities all year round. good idea if you are not coming in the hot summer months. whereas in the winter you should dress as if you were going on a trip in the snow. A good rule for a dress code on boat is to wear multiple layers of clothes. Even in the summer at times, we may run into some colder currents. In the summer we are usually barefoot (don’t worry, we deep clean our boat at the end of each trip). You can bring your socks, or neoprene booties, the important thing is that they are not shoes that have walked on the street. Do not forget your bathing sui. CAN WE SWIM WITH THE DOLPHINS OR FROM THE BOAT? Dolphins are wild animals, and as such, our presence in their territory may appear threatening or disruptive, causing them to behave in unpredictable and possibly dangerous ways. This could therefore jeopardize our own safety. The Jonian Dolphin Conservation’s primary goal is that of protecting both the animals in the water and ensuring your own safety, and respecting the dolphins natural habitat is therefore paramount. For these reasons, we do not allow any swimming near the dolphins. Our ethos is to observe and to study them from the boat without directly interfering or interacting with their natural movement and behavior. Moreover, due to liability reasons, the Jonian Dolphin Conservation does not permit any swimming from the boat(s) during the excursion at sea. Our service is that of providing a dolphin watching experience only. Yes, there is a nice spacious bathroom downstairs, located below deck. It is down a few stairs, and you must be able to climb down a short boat ladder – three steps – to get to it. There is also a sink with fresh water. The important thing to remember is that you cannot throw any thing in the toilet. There are also toilets on the ground to be used before boarding. TARAS and EXTRAORDINARIA, as part of your contribution, you will enjoy an excellent buffet of local produce. Seasonal fruit and drinks are also always available to make your stay on board as comfortable as possible. Think especially about the needs of children, and maybe bring their favorite snacks. It is very important, for the protection of our sea, that we limit to the minimum the consumption of plastic cups, and always use the bins provided on board, where you can recycle plastic and paper. If you can, bring reusable rigid plastic cups. DO WE SAIL A LONG DISTANCE FROM THE COAST? we find our cetacean friends. In a day of sailing, we average 50 NM. HOW OLD SHOULD A CHILD BE TO COME ON THE TRIP? It only depends on you. Our catamarans are designed to offer maximum safety. On board we also provide life jackets for the little ones. Generally, children younger than 3 might get bored, as it is not easy for little persons their age to spend 5 or 6 hours on a boat. It still remains a wonderful experience, that teaches the “adults of tomorrow” to love and respect the sea. We are always happy to accommodate children of all ages. IS THERE A COVERED AREA TO PROVIDE SHADE? 75% of each catamaran is covered, while the remaining 25% is available to anyone who wishes to work up a nice darn tan! WHAT IS THE MAXIMUM NUMBER OF PEOPLE ALLOWED ON THE BOAT? crew members: the Captain, marine biologists and volunteers. The 30 visitors on board have room to sit and space to move around freely on the boat. WHAT TIME SHOULD WE BE AT THE CHECK IN SITE? the information requested, and paid online, you will find your cards ready without having to wait. DO YOU PROVIDE ACCESS ON BOARD FOR SOMEONE IN A WHEELCHAIR? The spaces on the catamarans were designed to allow a wheel chair to move freely. The only obstacle will be the access to the bathroom, as, for this type of boat, the toilet is located below deck and is accessed via a marine ladder. Please do contact us directly if you need further information. departure. In this case, you can choose alternative dates, depending on availability. Those who are on vacation and will not be able to choose an alternative date will be refunded at no additional cost. Normally, we avoid going out if weather conditions are not favorable in order not to be forced to return earlier due to the roughness of the sea. 48 hours from the departure date. However, after that, we will have to charge you the full amount. In case of emergency reasons preventing you to be on board, please contact us within a reasonable amount of time and we will try our best to find a solution to accommodate everyone. It is important that we do not create discomfort to other passengers. WHAT HAPPENS IF WE DON’T SEE ANY DOLPHINS? chance to relax and take a nice dive down to a depth of 1000 meters! In addition, to contributing to have to the research and protection of Ionian cetaceans! until we discover where they have been hiding. This is, however, extremely rare. Keep in mind that our catamaran has been encountering cetaceans on 90% of our trips. ranges around 8-10 Knots). On board we have safety equipment for a higher number of passengers than the maximum number allowed. We also have more places on our lifeboat rafts than the maximum number of persons on board. IS IT POSSIBLE TO PARK NEAR THE DEPARTURE POINT? 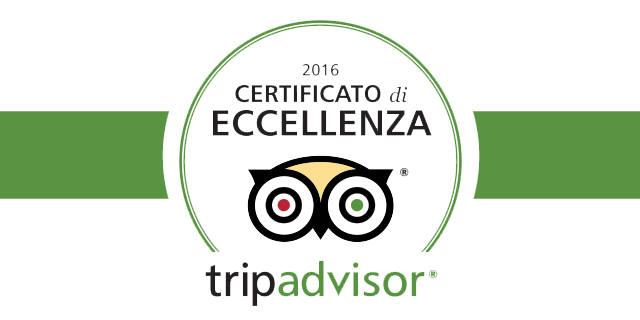 is located in Piazzale Democrito, along Via Napoli, and it is a 3 minute walk from the pier. Our departure point is at the Molo Sant’Eligio, in Corso Vittorio Emanuele II, in the old part of Taranto. Come down to jetty number 1. Inside the pier you will see signs for IMBARCO TARAS. Wals along the marina, pass the American Bar, our Reception is located right across from the loading dock. WHAT DOES RESEARCHER FOR A DAY MEAN? collect useful data that we will analyze to implement the protection of cetaceans of the Ionian Sea. We involve our guests in everything we do. Not only will you spend a memorable day at sea. Will also feel the excitement that comes from being involved in each phase of our research, form the sighting on top of the turret, to the data collection. During all activities, our knowledgeable crew of researchers, who have been passionately studying these cetaceans for years and have pledge to protect them and their environment, will be available to answer all of your questions and offer all the information you need.